Ok let’s just jump right back into it! I have been on vacation for the past week, so my meal planning has fallen by the wayside big time. 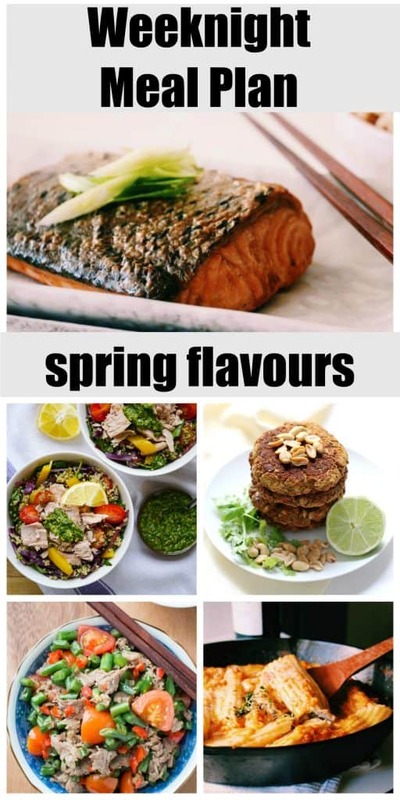 I am more than ready to get back into some healthy eating, with this spring meal plan, and indulge my cravings for big fresh salads and lighter dishes (especially after my week of decadence). 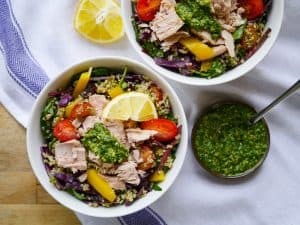 We are going to start the week off on a light and delicious note with this Protein Packed Tuna and Quinoa Pesto Bowl from Nourish Everyday. I love all the veggies loaded into this dish, and leftovers will make the perfect lunch throughout the week. 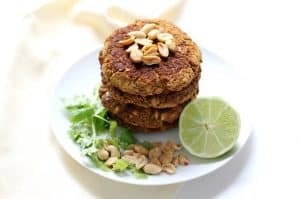 I love the sound of these Pad Thai Broccoli Burgers from Strength and Sunshine, and am so excited to try them out on Tuesday. This Sichuan Pepper Beef from Bam’s Kitchen sounds absolutely delicious. 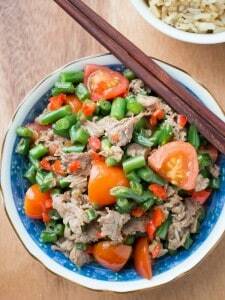 Such fresh flavours going on here, with the addition of lots of spices, green beans and fresh tomatoes. Yum. We haven’t had this in so long, so I need some of this Mushroom and Herbed Ricotta Cannelloni in my life 🙂 Thursday sounds like as good a day as any to make up a big batch, and freeze the leftovers for a busy day. 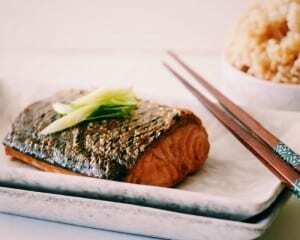 Let’s welcome the weekend with a quick and easy dish, my 4 Ingredient Teriyaki Salmon. 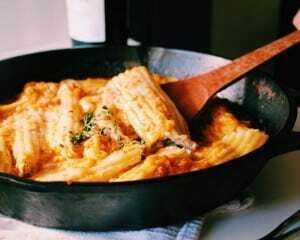 This has been a favourite in our house for a while now, and it makes it onto our menu at least once a month, as it is super easy but so delicious! 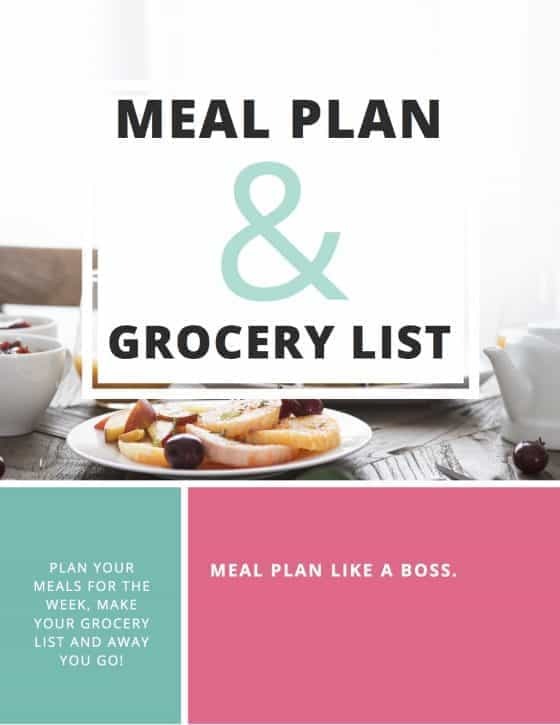 I hope you can find some inspiration from our spring meal plan for the week. I for one am excited to get back into the kitchen, after a week of hotel living. On a side note, we actually rented a room with a kitchen, and made all our own quick and easy breakfast’s and lunches for the week (because who wants to spend their whole vacation in the kitchen? 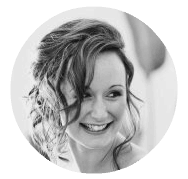 ), and I will be sharing some tips and tricks for healthy eating whilst travelling with you all soon. Awesome, where did you go on holiday? It is time to get on board with some clean eating bikini season will be here before I know it. Thanks so much for including our Sichuan Pepper Beef in your weekly meal plan.